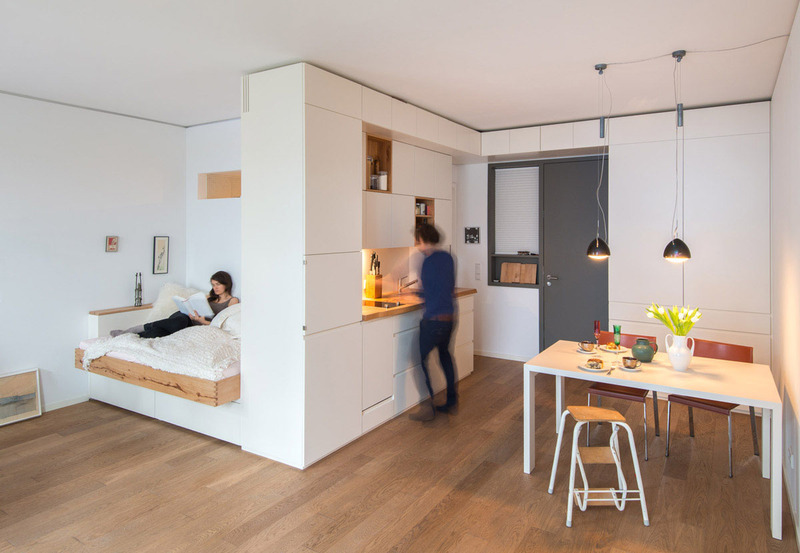 This functional compact studio apartment in Berlin, Germany was designed with space-saving built-in furniture made with mountain beech wood from a tree knocked down by avalanche in Sonntagshorn in the Chiemgau Alps. 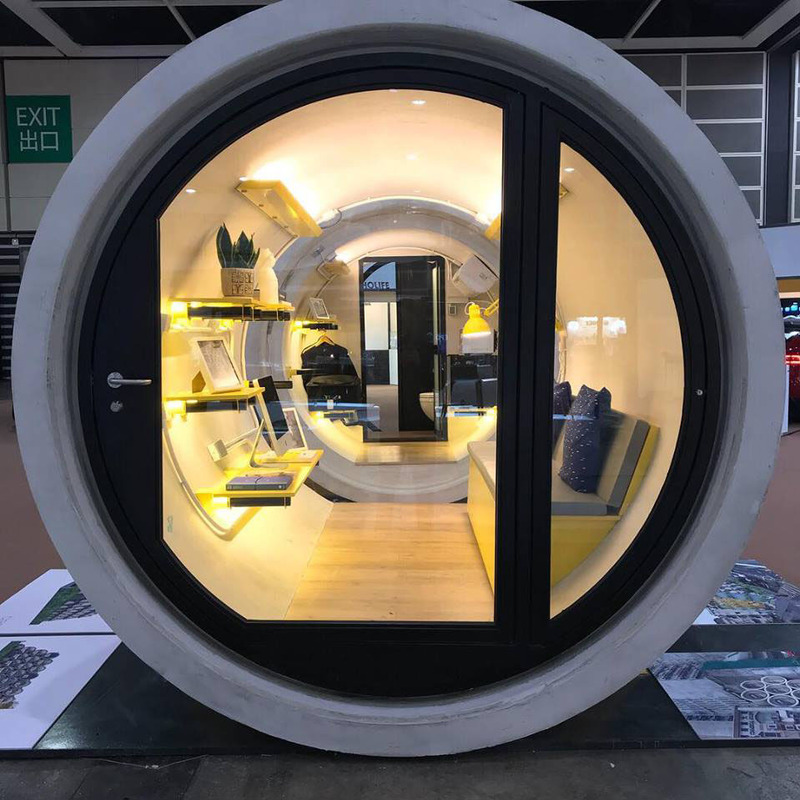 OPod is a creative prototype designed by Hong Kong architect James Law to ease the housing shortage in one of the most expensive places to live on earth. 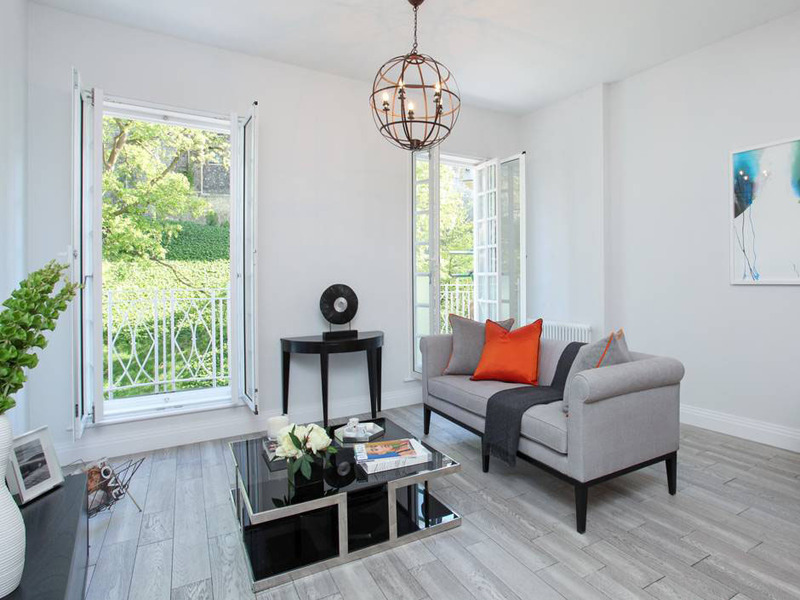 This classic contemporary style flat near Windsor Castle in Berkshire, England offers modern living in a historic town. 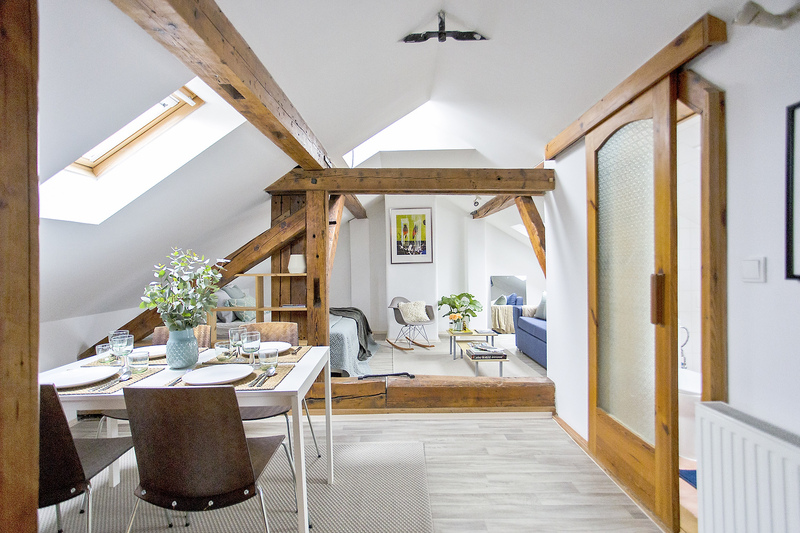 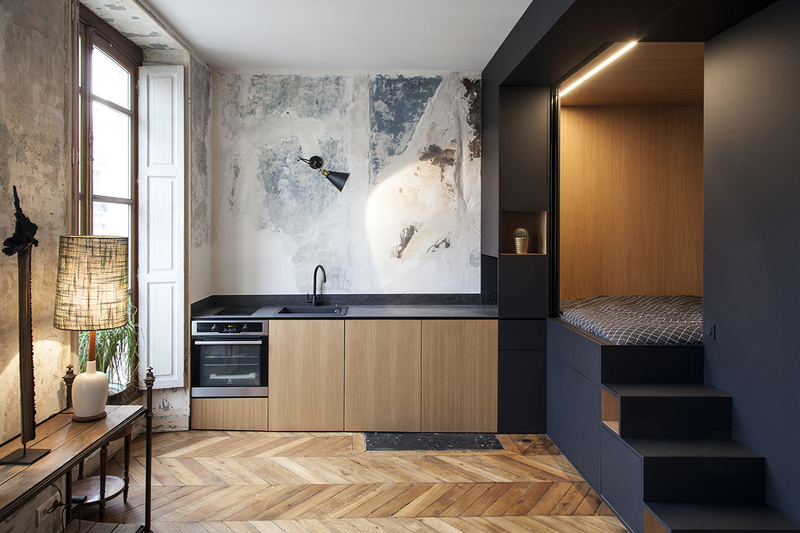 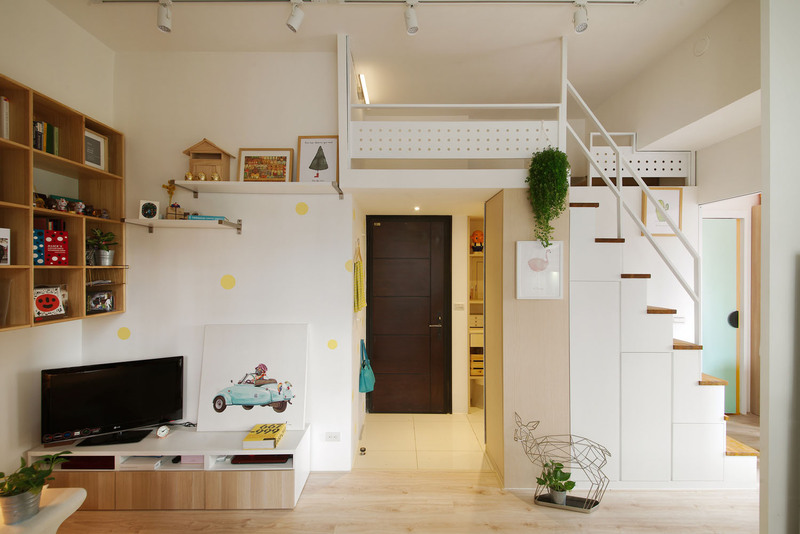 Interior designer Daniele Federico Melilli of Stag Pads transformed this attic studio apartment in Prague, Czech Republic with 10 hours of design time and a budget of €750. 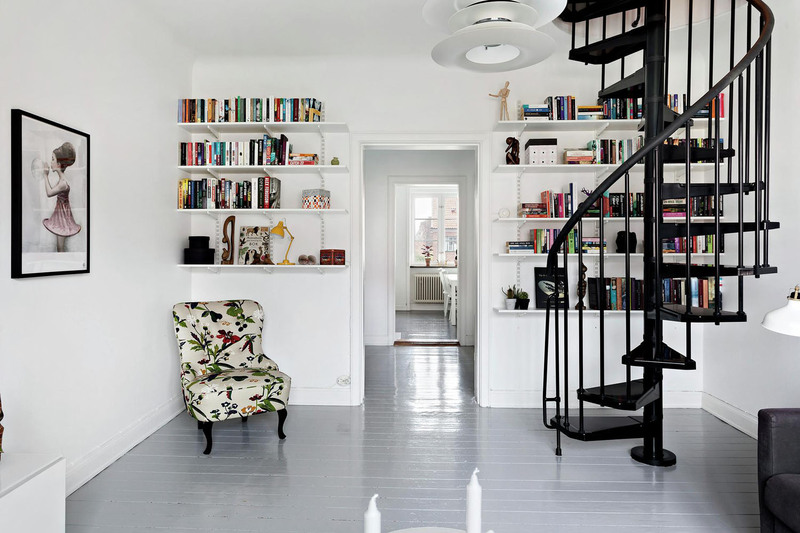 This charming small apartment in Gothenburg, Sweden has been restored with meticulous precision. 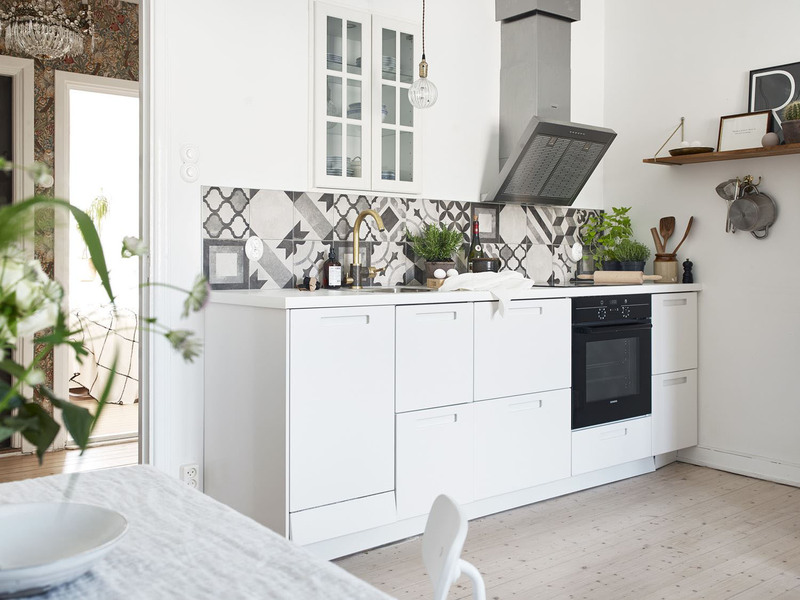 This charming 581 square foot one bedroom duplex apartment in Malmö, Sweden has a spacious IKEA kitchen and a cozy loft bedroom.